Zimbabwe Dancehall ace Saul Musaka affectionately known as Soul Jah Love has written a song to pay tribute to President of the second Republic of Zimbabwe, His Excellency President Emmerson Mnangagwa. Soul Jah Love is known for not really scripting down his songs as he just goes into the studio and sings whatever is in his mind and the new track on ED-PFee was no different. "I didn't even write the song. I got into the studio and sang what I was feeling. I am inspired by the day-to-day lives we live so the inspiration of this song was on the current Zimbabwean environment where I felt it was obvious our President was winning," said the Zim dancehall guru. Soul Jah Love has been devoted to the revolutionary party even after he was dressed down at a Mugabe rally last year by former youth leader Innocent Hamandishe. The ghetto youth inspiration has been performing at Zanu-Pf rallies since the time of former President Robert Mugabe and has never changed after his ouster from power. With the release of this song, he became unpopular with some of his fans on social media as they threw stones of criticism at him. "I am not affected by what people think or say. If I am a Dynamos fan I won't change because my fans are Caps United fans, same applies in this situation I won't change my affiliation because other people don't like it," he added. 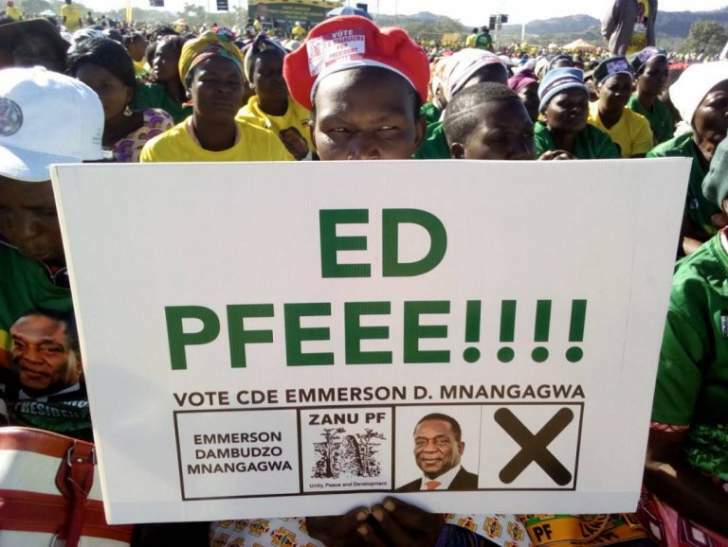 The "ED-PFee" mantra has charmed a lot of Zimbabwean artistes such as Chief Shumba from Zvishavane who rose to fame after the release of his ED-PFee track. A "pfee riddim", different from Soul Jah Love's track was released in July by Chill Spot Records. Soul Jah love also could not miss an opportunity to be part of the new praise anthem of the new president which was chanted by most Zim dancehall singers . . .
"ED-PFee ndiPresident vedu vachagara vari ipapo," he sings in his chorus. The Zim dancehall maestro is working on an album with his producer Jeeperz Mad that will be launched at the end of the month of September.